Your people are your greatest assets, but they’re also human beings with various ambitions, views, and flaws. If you’re in charge of a team, you have to focus much of your energy on communication and performance management. Proper communication with each individual and the team as a whole will help keep everyone on track and mitigate any growing issues or concerns. This is easier said than done, of course. When something goes wrong, a tough conversation may be in order. And if you’re the team leader, the impetus is on you to conduct these tough conversations with dignity while still addressing the issues at hand. Let’s explore some of the ways you can navigate these interactions while also preventing them from devolving into finger-pointing or talking around the problem. When a problem arises in your company, it may affect your whole team. Or, your team might have triggered the problem in the first place. Whatever the case, resist the urge to address your team as a whole right away. It’s often better to speak with individuals one-on-one to better understand the issue before bringing it up at large. If the problem seems to stem from a single person, you’ll want to begin by speaking with that person first, of course. Private discussions are free from distractions and eliminate the potential to lean on or blame anyone else. This gives you the opportunity to better understand where the other party is coming from. Holding conversations in private can also help the other party feel more comfortable, as they won’t feel singled out in front of the rest of the team. Good leadership communication is all about clarity. The more transparent you are, the better the conversation will go. What does this transparency look like in action? It means addressing the issue head-on, clearly explaining why it matters, and genuinely expressing your desire to make things better as a team. The more sincerity you show, the more sincerity you’ll receive. A workplace culture built on this trust is bound to be more successful. 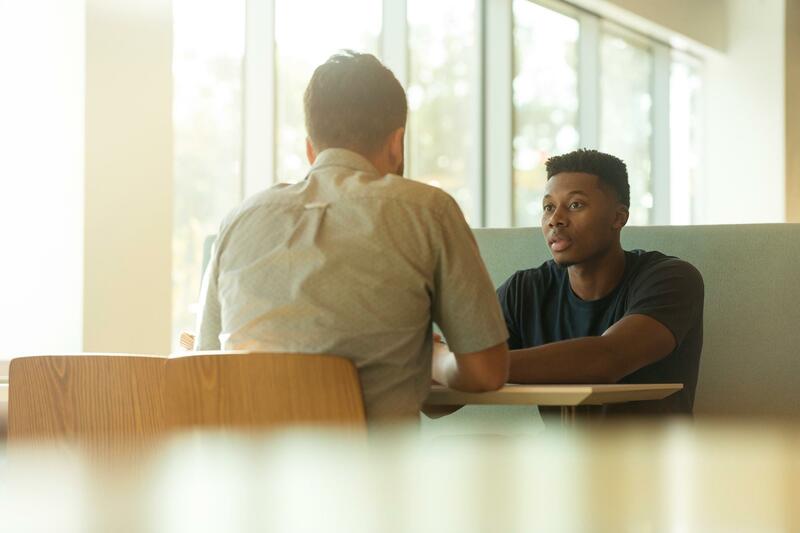 Just because you’re speaking with a staff member one-on-one doesn’t mean the conversation has to get personal. Instead, the talk should focus on the problem itself. Even if the individual contributed to the problem in question, merely placing blame is not an effective way to course-correct. You should try to uncover the full context of the issue and discuss ways to make future improvements. We all make mistakes, and sometimes underlying circumstances play a part. If you’re not willing to dig deeper into all relevant factors, the same mistakes will rear their heads again. Tough conversations cannot be one-sided. Yes, you’re the one initiating the discussion, but you must also let the other party speak and ask questions if anything is to get fixed. Be sure to ask them questions as well. If you don’t open a dialogue you won’t know how to manage your team effectively in the future. Of course, the individual might start placing blame on others, avoiding the problem, or responding emotionally. If this occurs, continue listening, but try to bring the conversation back to the issue, not the person. The goal of any tough conversation is to amend a problem, making things better moving forward. This can only be done through team effort. Make sure that you end every difficult discussion with a purpose. Work with the individual to create strategies and solutions that will benefit them, the team, and the company. Dignity requires autonomy and self-respect, so you should empower your employees to do better in the future, helping them along the way with mindful team management. Tough conversations are by definition never easy. They can, however, be productive and cathartic, as long as they’re conducted with dignity. With proper leadership communication training, you can get better at having these conversations. The better you get at this, the stronger your team and your business will be. Leadership Resources offers courses and resources for improving your communication and team management skills.